In the first two generations of Pokemon, there were a lot of Pokemon that didn’t evolve. 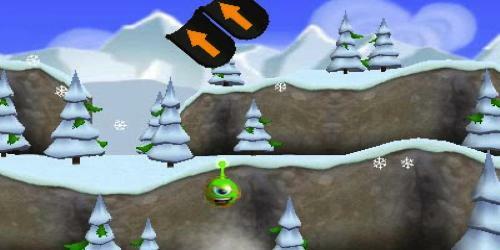 They had one single form throughout the entire game. By this, the fourth generation of Pokemon, there are very few non-legendary Pokemon that still only have a single evolution and yet are still quality Pokemon to use in a Trainer vs. Trainer battle. Everything from Snorlax to Likitung now have an evolution and some Pokemon like Magmar and Electrbuzz now have two new forms. Pokemon that don’t have evolutions these days are generally taken for granted and treated like an afterthought. Instead of ignoring the non-evolving Pokemon, let’s look at some of these often neglected choices and see how they can still be a solid usable Pokemon in today’s battle format. I’ll admit I’m a little biased here as I love the design and inspiration for this Steel/Flying dual type. Due to Skarmory’s unique type matchup, it is only weak to Fire and Electric attacks, is immune to Poison and Ground Attacks, and takes normal damage from Ice, Water, Fighting and Rock. This is a pretty solid Pokemon Type wise and it is one of the better protected Flying Type Pokemon because of this. Skarmory also has two solid Pokemon abilities. The first is Keen Eye which prevents its accuracy from being lowered by moves like Flash. The other ability it can have is Sturdy, which prevents 1 Hit KO’s, but those type of moves are so rarely used, I prefer Keen Eye. Skarmory has very high Defense and Hit Points in this 4th generation of Pokemon, and solid stats everywhere else. It’s only weak stat is Special attack, which is pretty easy to avoid with the changes to what is physical and what is special. This means pick a set of four moves for your Skarmory is pretty easy. It’s just a matter of whittling down the choices. Because Skarmory has such good defense stats already I would stick to a myriad of offensive moves, specifically ones that might offset its Type Weaknesses. Night Slash is a great move as it is a Dark Type attack Skarmory learns naturally and it has a high critical hit ration ensuring it will do even more damage. I’d also advise giving Skarmory the TM Rock Slide. Rock Slide is a nice little Rock Type move that barley misses. Not only does it have a 30% chance of making your opponent flinch, but it’s Super Effective against Fire Type Pokemon, giving your Skarmory some much needed protection. Steel Wing and Aerial Ace are great offensive moves that fit with Skarmory’s Types. If you want a more annoying but less offensive Skarmory, try giving it the Sandstorm and Substitute TM’s. These will whittle down your opponent and allow Skarmory to last even longer. Played correctly, Skarmory is great addition to your Pokemon lineup and can really throw off another trainer. Skarmory can hold its own against most other Flying Type Pokemon. It’s just a matter of raising it right. Miltank is a great little normal Pokemon that I can honestly say I’ve never seen anyone bring to a trainer battle match up. This confuses me as she has high stats in everything save Special Attack and like Skarmory, has built in high defenses that you don’t have to worry wasting moves on to boost up. Miltank has two Special abilities, both of which are amazing. The first is Thick Fat, which halves Fire and Ice damage. As Normal Pokemon are only weak against Fighting Type moves, this gives Miltank even more defense. For offensive minded players, you should go with Miltank’s other Special Ability, known as Scrappy. Scrappy means that Miltank can hit Ghost Pokemon with Normal attacks, something that is otherwise impossible. This is a great Special Ability to have and most players don’t even know it exists because only Miltank and Kangaskahn have it! Two moves you should ALWAYS give Miltank are Milk Drink and Zen Headbutt, both of which she learns naturaly. Milk Drink restores 50% of Miltank’s health, making her that much more of a quality defensive Pokemon. Zen Headbutt is a Psychic Type Physical Attack. Having this move in Miltank’s lineup allows her to be protected against her only weakness – Fighting Type Pokemon. Zen Headbutt can also cause flinching, meaning your Miltank can cause its Fighting Type opponent to miss its turn, allowing Miltank to repeatedly wear it down or regenerate using Milk Drink. Not bad, eh? Miltank can also learn other quality moves like Rollout, Gyro Ball and Body Slam naturally if you’re looking to go a more offensive route with this Pokemon. A Miltank with Milk Drink, Zen Headbutt, Body Slam and Rollout can do damage to a wide array of different Pokemon Types, making it very useful indeed. 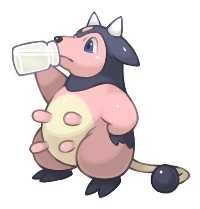 Miltank can learn some incredible moves via TM’s as well ranging from Brick Break to Earthquake, and even Grass, Water, Ice, and Electric type attacks. Try throwing in Thunderbolt as a surprise as its high damage and paralyze chance will offset Miltank’s lower than average Special Attack. Plus, what trainer will see THAT coming? Poor Pinsir. He’s always been treated as second rate with Scyther getting all the limelight and an evolution. Don’t discount Pinsir though as it has very high Attack, Hit Points and Defense stats, and and even its lowest stat of Special Attack is slightly above an average score. This alone makes Pinsir potentially playable and as we look further, it gets even better. 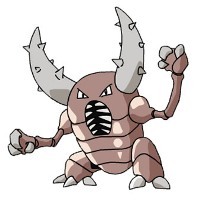 Like the other two Pokemon we’ve looked at today, Pinsir has two options for a Special Attack. The first is Hyper Cutter which means Pinsir’s attack value can’t be lowered except but itself. This means Abilities like Intimidate have no affect on Pinsir, leaving it always potentially lethal. Pinsir’s other Special Ability is Mold Breaker which means its moves are not affected by ANY OTHER POKEMON ABILITIES that otherwise change damage or block move effects. So a Water attack from a Mold Breaker would do damage to a Pokémon with Water Absorb for example. Wow, is that amazingly powerful. Because only the Cranidos family has this move besides Pinsir, most trainers won’t see it coming and it makes Pinsir even more of a bonus to have on your team. Now comes the hard part – picking out moves that will let you play off Pinsir’s incredible Special Abilities and Stats. You’ll probably want X-Scissor as Pinsir is a pure Bug Type Pokemon and this is the best Physical Bug attack it can learn. Besides this one Bug Move, it only naturally learns Normal and Fighting type attacks. Out pf the Fighting type moves it learns naturally, I’d choose Brick Break and Vital Throw as the best. Pinsir can learn the amazingly powerful Superpower at level 52 which is great with its crazy high attack. Remember that this move does lower all of Pinsir’s stats after it is used though, so if you choose to go with this, make sure you can do a one hit KO on your opponent. Seeing the power of this move combined with Pinsir’s Lou Ferrigno like strength, this is definitely doable. If you’re looking for other offensive moves to round out your Pinsir’s power, it can learn Earthquake (which can hit Flying Pokémon if you have Mold Breaker!) and Stone Edge from TM’s. Stone Edge is especially of interest due to its high critical hit ratio and base attack of 100. Those two things combined with Pinsir’s power makes a very lethal triple threat, Just watch out for its 80% accuracy rate. So there we go. Three old school Pokemon without any evolutions that still can be quite useful in a Trainer vs Trainer battle. Keep these strategies in mind if you ever decide to try one of these Pokemon or more importantly, if you face the rare Trainer using them! Join the discussion of this article with the staff in the Diehard GameFAN Forums! I always liked Pinsir more that Scyther. He’s got a guillotine for a head! Mold Breaker has never be able to do that. All it does is allow you to hit your opponent’s Pokémon normally, despite their ability (Fire-type and Ice-type attacks do normal damage to Thick Fat users, Ground-type moves can hit Levitate users, etc.). Yeah, I know this was written two generations ago, but still. Mold Breaker has changed with each generation it has existed (IV, V, VI), but the only real changes are inclusions to what is affected by it. GV added both Spikes moves to what could hit Levitate and in GVI, Overcoat could be affected by Bulbasaur’s wide range of attacks. Things like that.